Here at the Dental Studio, we offer a full range of solutions to patients missing all, or some, of their teeth. All work is carried out in our own Dental Laboratory. Welcome to Walkinstown Dental Studio – one of Ireland’s foremost Clinical Dental Technicians practice. Here at the Dental Studio we have over 25 years experience in the Dental Profession. We strive to provide each patient with a professional friendly and efficient service in confidential and relaxed surroundings. Our management team have over 40 years of combined clinical and technical experience. 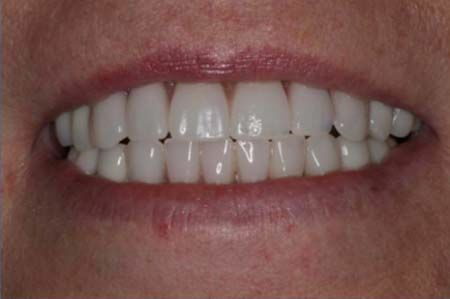 We provide a full range of solutions for patients missing some or all their teeth. Please browse our site for the many services available to you. We hope you can trust us to provide you with professional dental care and become a valued client over the coming years. Maurice was one of the first Clinical Dental Technicians to register and practice in Ireland. 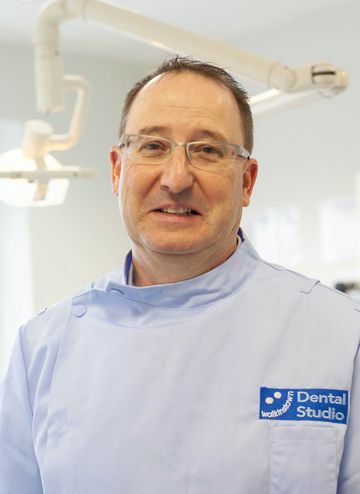 He first qualified as a Dental Technician in 1988 from the Dublin Dental Hospital and went on to establish a very successful Dental Laboratory. In 2005 he went back to further education. He received the Diploma in Clinical Dental Technology from the Royal College of Surgeons England in 2008. He also trained in Canada and obtained the Ontario Diploma in Clinical Dental Technology in 2007. The Walkinstown Dental Studio was established in 2007 based on a solid foundation of Clinical and Technical expertise and has provided patients with high quality dental work since then. He has also gained a wealth of experience in Implant related Dental Work having practiced in both the Blackrock Clinic and the Seapoint Clinic where there was a high demand on aesthetics and fit. He receives a great number of referrals from dentists based on this experience. Maurice takes great pride in his practice and patient satisfaction. 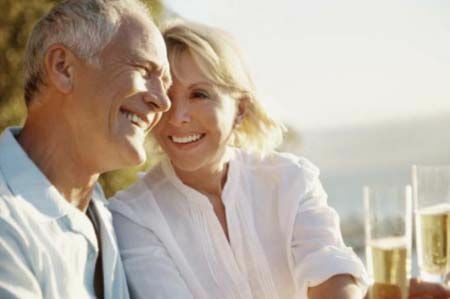 Full or Partial Dentures, Repairs/Relines and addition of teeth to your existing Denture. Simply call for an appointment, bring along your medical card and we will make an application to the H.S.E. on your behalf.